Indian spiced yogurt make this chicken tender, moist and delicious. If you remember, a few days ago I was lamenting about having to buy a large (750 ml) container of plain yogurt every time you need a cup for a recipe. Before someone posts the comment, yes, I know you can get smaller (500 ml) containers, but here the price is the same as 750 ml, so it’s not very cost efficient. It makes sense to buy the larger container when with a little ingenuity you can make some really great things with that “leftover” yogurt. Besides baked goods, my mind always thinks of Indian food for options to use leftover yogurt. 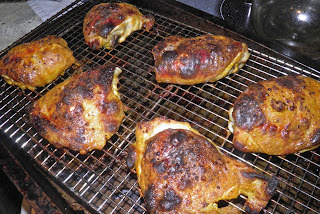 One of the recipes that tops my list is yogurt marinated chicken. The acidity of the yogurt does a wonderful job of tenderizing the meat. While the yogurt is permeating the meat any spices you put with it are doing the same. It’s so easy, too. 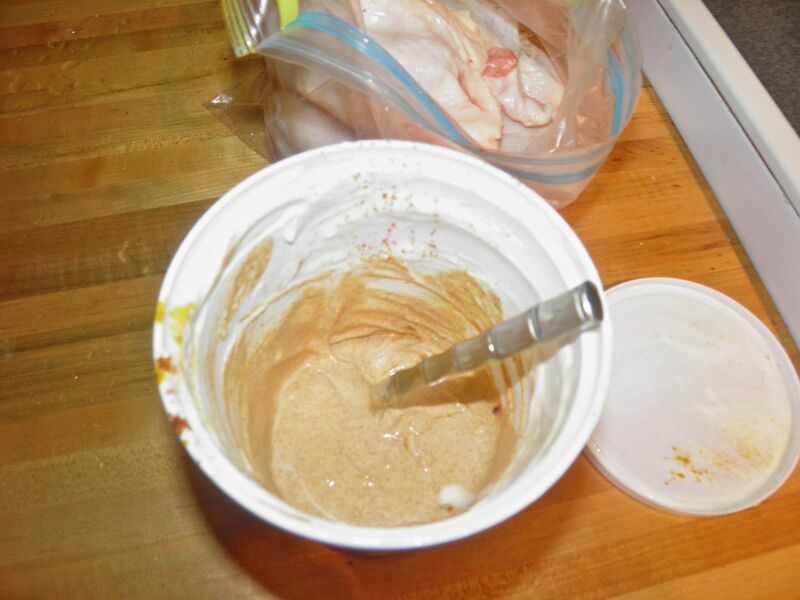 You can mix all the ingredients right in the yogurt container and then put it (with the chicken) in a zip-lock bag. Yogurt chicken is as easy as marinating and baking. And while it’s marinating you can turn your thoughts to what to serve with it. Anyway… resurrecting it from memory was a little on the tricky side. I have made my own curries many times so used that as a departure point. I just dialled down the heat. Why the quote at the top of the page? Finding okra became quite a search. I couldn’t find fresh okra in two grocery stores. Or canned. I finally found sliced frozen okra. What a backwater, sometimes. Yes, Halifax – I’m talking about you. By the time I found the okra it had become almost a contest of wills. 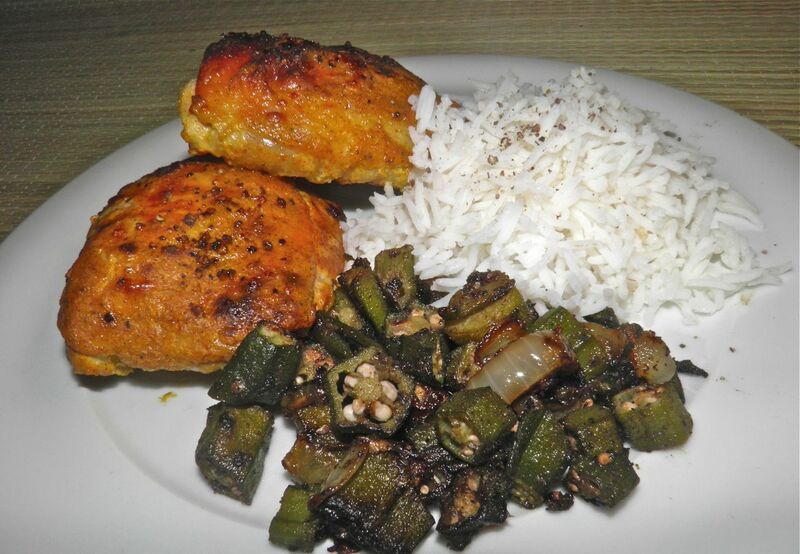 I no longer thought it was a good idea to make the spiced okra – it was an imperative that I made it. Mind you I only went to BOTH of the major grocery chains here. I should have went to to (the far more cosmopolitan) Pete’s Frootique. They never fail me. clings to it on for baking. Combine all the marinade ingredients and mix well. Place the chicken in a zip-lock and pour the marinade on top. Close the bag and rub the marinade over the chicken well. Looks good! test for doneness with a thermometer. 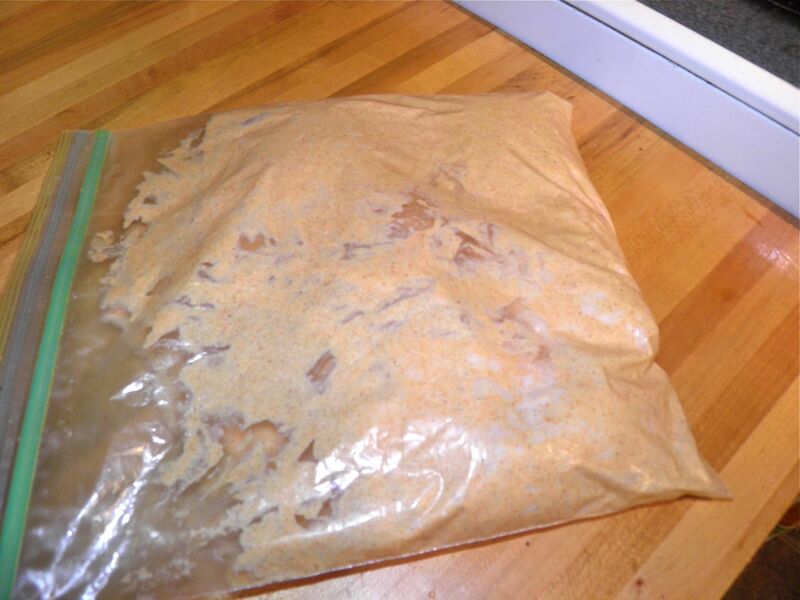 Marinate on the counter for 3 hours or in the refrigerator for 8. Preheat the oven to 375°F. 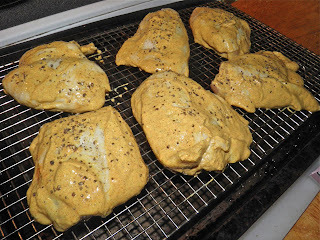 Remove the chicken from the marinade and place on a rack sitting in a rimmed baking dish. This lets the heat get around all sides of the chicken as it bakes. Bake the chicken for 30-40 minutes, or until a meat thermometer inserted in the thickest part of the meat reads 180°F. Melt the butter in a large oven-proof frying pan over medium heat. Add the onion and ginger and cook until the onion begins to soften. Stir in the okra, spices, pepper and salt. 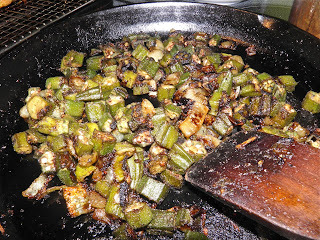 Let the mixture cook until the okra begins to brown slightly, stirring only occasionally. This will take about 5 minutes. 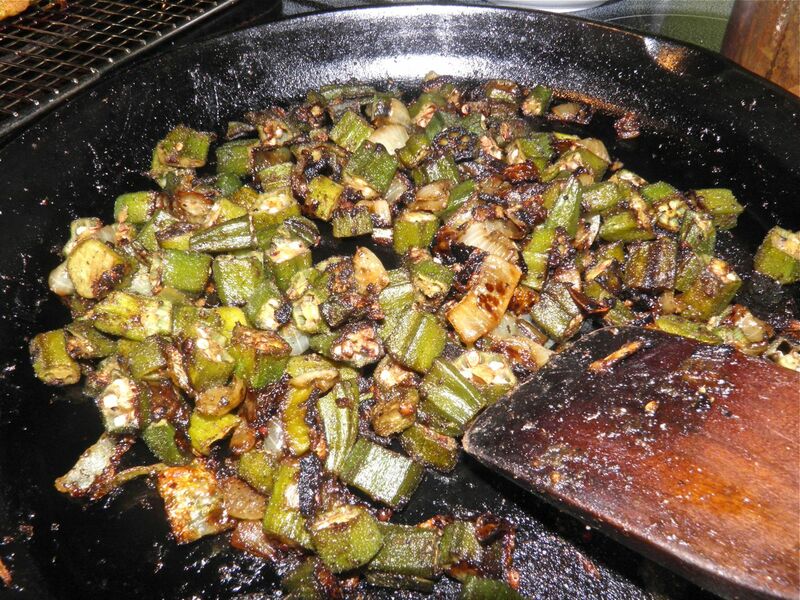 Don't worry when the okra begins to turn "ropy." It will disappear in baking.